jahwarrior72;82408 Wrote: How? By throwing rocks? Maybe they want mobs to overwhelm gunmen so they run out of ammo. That makes it safer when law enforcement shows up; they won't have to worry about getting shot. All they'll have to do is count the bodies and go home safe that night. By stabbing them in the neck with your school-approved rubber spork..
Quote: Thanks for the encouragement. I wasn't aware that we needed permission from law enforcement to do whatever is necessary to save our lives in a situation such as this. Quote: and next piece of advice will be to eat something when you are hungry. we are unable to figure these things out for ourselves apparently! Quote: Yeah, citizen first responders - lots of "volunteers" so the shooter uses up all his bullets by the time the cops show up. That's called "officer safety" - at least they get to go home that night. Quote: I'd never die cowering like a bedwetting liberal under my desk. Quote: Yet they are sheeple full of false self-esteem that makes them even more dangerous and ill-learned. Quote: He also cautioned people not to run with scissors. Quote: Now, ask the cops if they will use the same "techniques" when they get on the scene of an active shooter incident. See if they will be using scissors and ball point pens or AR-15's, MP5's and Glock .40's. If they REALLY wanted to help people defend against active shooters they would take them to the range, and point them to the nearest gun store. I have yet to see a single comment supporting the utter stupidity of the article. And it might be refreshing except that we know the sheeple mentality seems to hold the majority vote there. Rubber bands with paperclips, and maybe use the stapler to shoot staples at them. Oh, and you can't underestimate that classic office/school weapon.... the spitball. 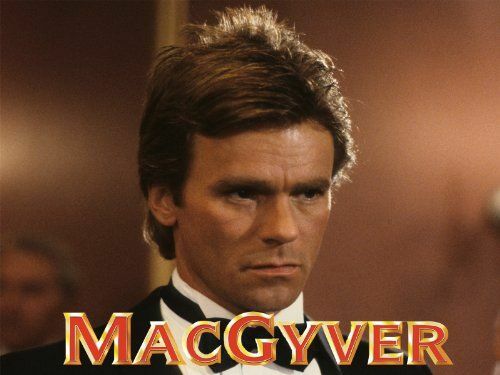 If you read the article at the OP's link you'll be pleased to find out the training consisted of watching all 139 episodes and the 2 made for TV movies of the action-adventure series MacGyver. I've heard that McGuyver can kill people with a red Swingline stapler and a bottle of Elmer's glue. The asshattery is strong mojo in CA. No, by using harsh language. Way I see it is that this is a start. They have realized that hiding isn't an option. So, they are admitting that "fighting back" is a better response. This is the first step as I see it to getting around to making "fighting back" a real option. And to do so realistically, they are going to have to finally get around to allowing firearms in schools, or anywhere else. It is better than saying hide in the closet. It is a start. Baby steps folks. Baby steps. Better than walking backwards or doing nothing at all. In the beginning a Patriot is a scarce man, Hated, Feared and Scorned; but in time, when his cause succeeds, the timid join them, because then it cost nothing to be a Patriot.... Mark Twain.